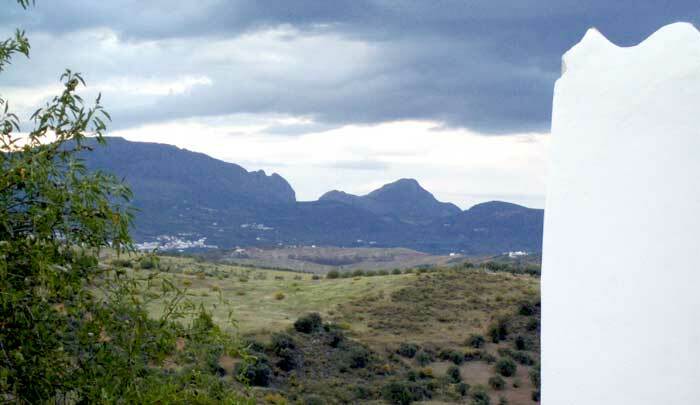 La Paloma (the dove) is perched on a hill top facing the spectacular Moorish hill town of Comares. 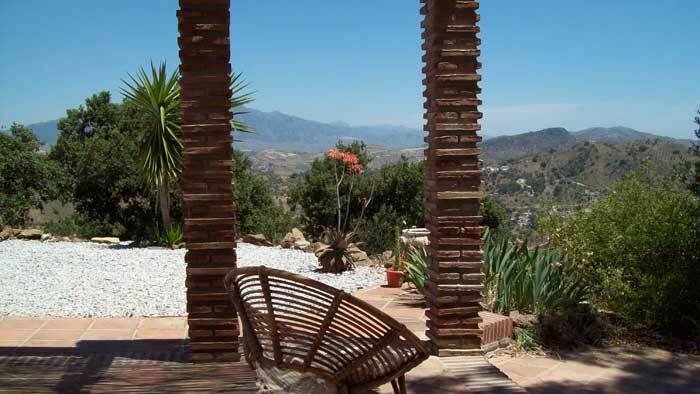 Sitting in the middle of a rough circle of land, approached along its own track through almond groves and vines, la Paloma offers privacy, seclusion and beautiful views. 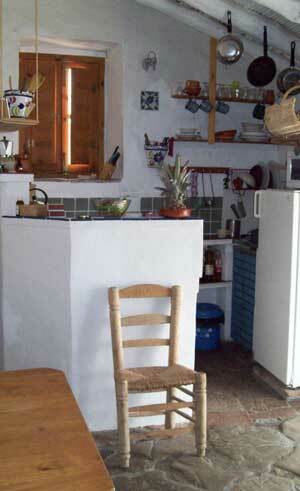 La Paloma sleeps up to 5 people in two double bedrooms and a separate studio. 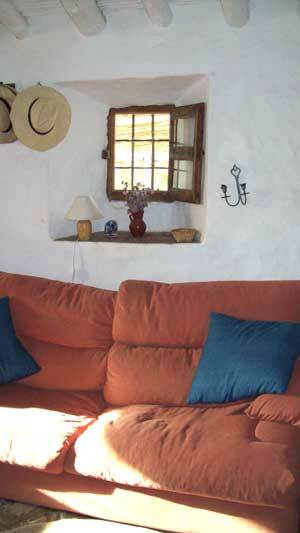 A tradional casa rustica, with thick whitewashed walls under a tiled roof, La Paloma retains its simplicity, but is tastefully equipped with basic modern amenities. Fiestas and processions are very important in the local towns. Comares, Riogordo and Colmenar boast vibrant local events, and also have useful, colourful markets every week. 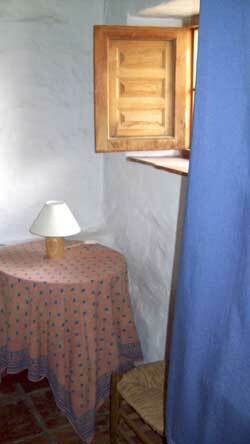 Modest prices reflect the simplicity of the house. opens out to the stunning landscape beyond. 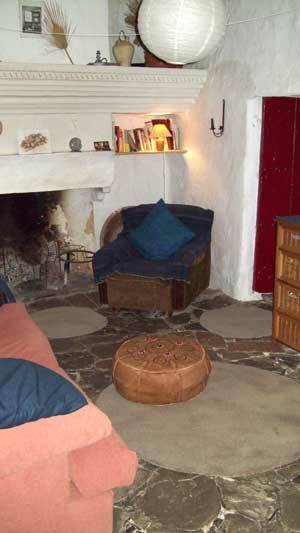 The house is ideal for those who want seclusion and authentic traditional accomodation. Separate studio/meditation room /extra bedroom. Two large bedrooms each with a double bed. Single beds provided on request. Bathroom with bath, shower, toilet, antique washstand. 22 m long living room with stone flagged floor. Traditional open fire one end, kitchen the other. 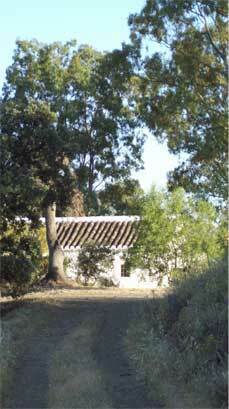 "We loved everything about it: the spot, the neighbours. It was the best holdiay we have all had for ages: simple yet perfect." 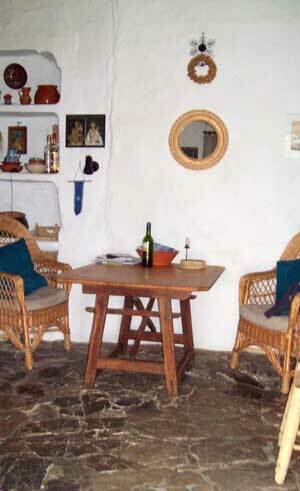 "La Paloma is a special place in worderful surroundings." "Coming home I so missed the views, the wide open sky, the breeze in the evening under the stars, the intensity of the light." 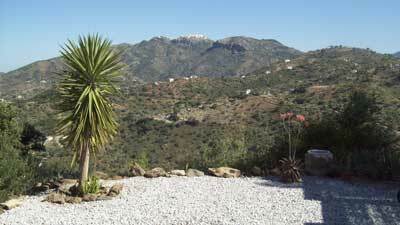 "We enjoyed relaxing on the terrace with a book, looking to Comares, the lovely mountain scenery."